So, I was feeling adventurous and decided to do something new by eating some wild meat available in Australia - Emu, Kangaroo and Crocodile. Aren't I a bit of a daredevil? Back to the review. The last time I tried eating anything wild (after my shaky attempt at Snail) was back in Nigeria and the only thing I could summon the courage to try was Antelope, out of about 4 or 5 choices that included Grasscutter and some other animals I can't/don't want to remember. I've forgotten what the Antelope really tasted or felt like but I seem to remember it being white like cooked pork and tasted nice enough for me to eat a whole piece - to be fair though, I had it as pepper soup and everyone knows pepper will make anything taste nice. However, with Emu, Kangaroo and Crocodile, the experience was an entirely different matter. The most important thing to remember about this review is that all the meats sucked! Yikes! I don't know if it's the meat themselves, or if it's because they were made into jerky (think kilishi) where for some reason, sugar/sweetener is part of the ingredients. To be fair, regular Australian beef jerky that I tasted was nice so I blame the meat! The Emu for me was the worst of the lot. Its texture and taste reminded me of eating liver - which I hate (I'll rather deal with the rubbery texture of lungs and gizzard or the long-term chewing commitment that comes with cartilages/tendons AKA akwara anu AKA atakata eloo). I personally consider liver the worst of all giblets. I find that softness that just falls apart in your mouth very unappealing. The exact same reason I dislike minced meat and meatballs. As a meat lover that still has teeth, give me normal meat chunks anyday. So, I was hoping that since the Emu is a bird (relation to Ostrich be damned), I expected it to be similar to Chicken/Turkey but nah, the Emu missed the mark by so many points. In summary... big NO for me. I don't know why but I already had a negative bias towards the Crocodile right from the time of purchase. Which is why it was very surprising to find it the least confronting of all three meats. The look and texture is sort of like that of dry stock fish but doesn't quite taste the same. It tasted a bit off, like when stock fish is just beginning to get stale/mouldy from not being stored properly in a dry place. 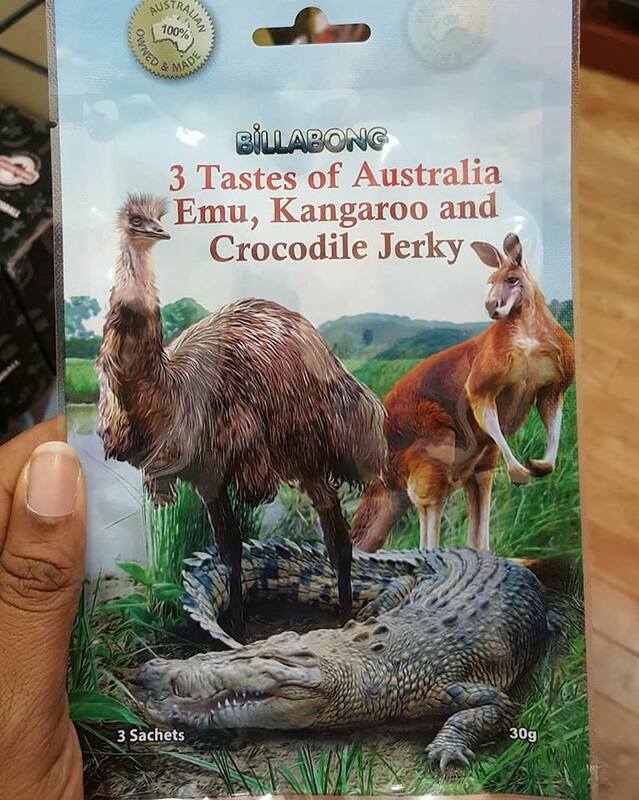 Whether that is the taste of actual Crocodile or if this was as a result of being made into jerky, or if the meat itself was getting stale - I have no idea and to be honest, I'm not particularly curious. So that's the story of my foray into the world of wild meat. I will not be repeating this in a long long time - thank you very much. If you have tried wild meat, what was your experience? Want to taste delicious premium Australian beef Jerky, visit 24K Jerky. we offer quality beef at best price.